“Caster ball wheels” is a kind of robot wheels which has 360° of freedom and is normally used to balance a robot with low friction and it does not prevent the robot movement. The "Omni Directional Wheel" is one of the best robot wheels for easy movement of all kinds of robots especially junior soccer robots and small size robots.The assembly consists of the main wheel and traversal rollers. The "Aluminum wheels" are simple, efficient and useful wheels for robots, especially Labirint Robot, Maze Robot and Rescue Robots as they are solid and robust. 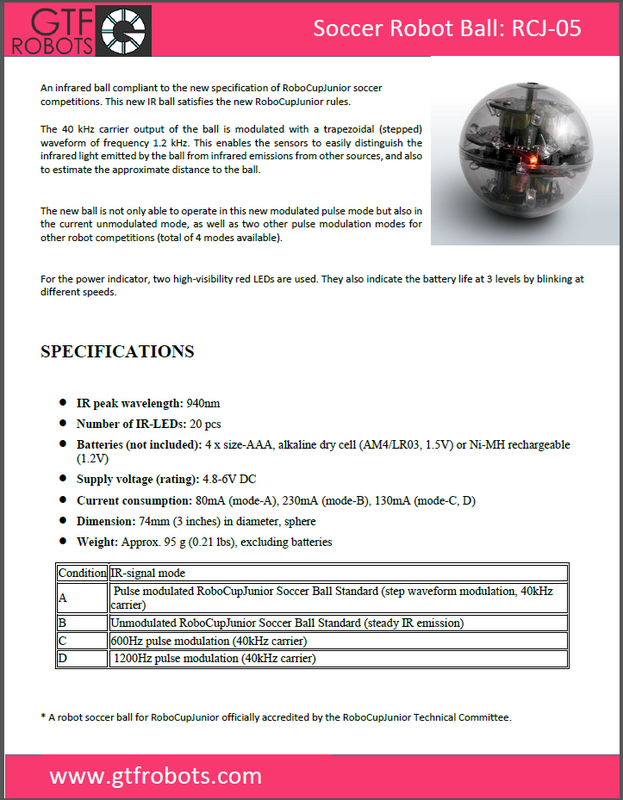 The "Infrared ball" satisfies new specification of soccer competition and new RoboCupJunior rules with powerful battery.